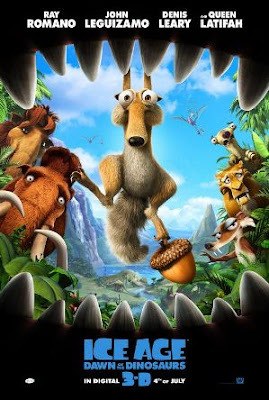 Watched Ice Age: Dawn of the Dinosaurs over the weekend. Buck: "Listen! The wind! It’s speaking to us." Buck: "I dunno. I don't speak wind." When Ellie the female mammoth gave birth to a little baby mammoth, so cute ... and named her Peaches, after the codeword they use if Ellie was going into labour.